The Orange King line is a food-grade nutrient line created in the Netherlands. The King line is especially designed for highly efficient production lines, such as the Dutch hydroponics greenhouse cultivation methods. The Orange Specials are used to complement the Complete and King lines. These additions to the Orange nutrient lines are used to adjust the effect of the Complete and King nutrient advice. The Orange Complete line is designed to minimize mistakes in the entire grow cycle of the plants. It is easy to use and is extremely effective in providing superb results even if you are still a beginning grower. The addition of Orange Regulator to the plants’ diet is extremely beneficial because of its many advantages. 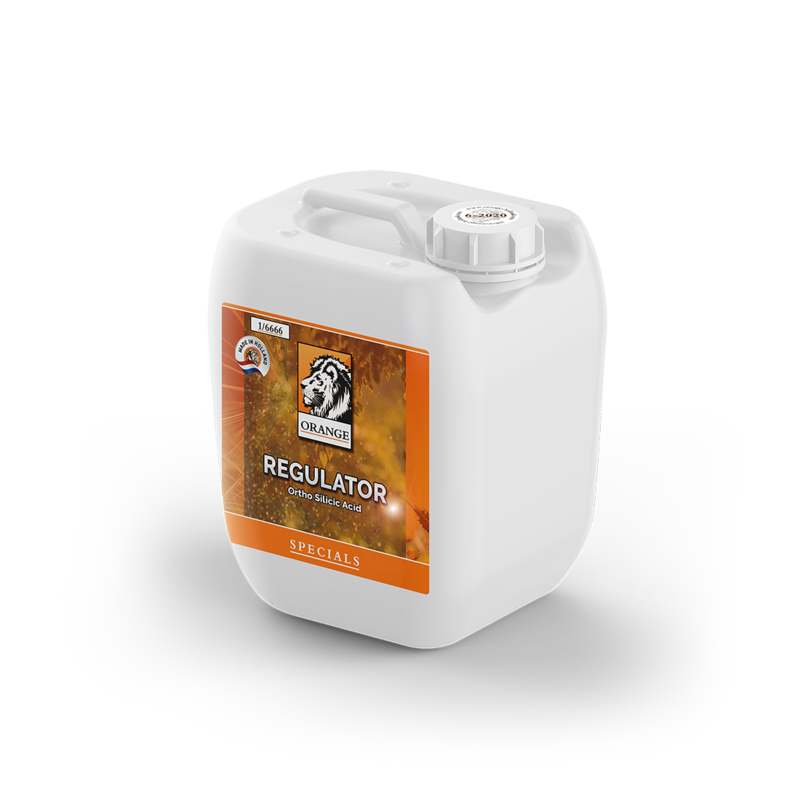 One of the main purposes of Orange Regulator is the regulation of nutrient uptake by plants. 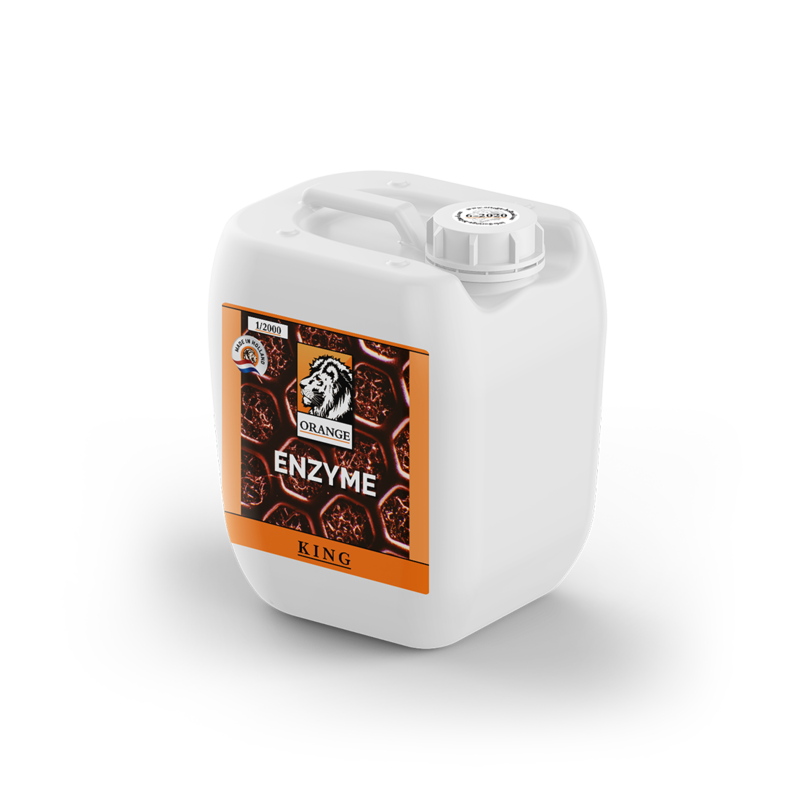 It ensures that minerals are absorbed by, and transported through the plants efficiently. Orange Bloom Stimulator accelerates the flower formation and increases the number of flowers that are developed by the plants. This is mainly due to the high phosphorus content of the product. Orange Top Booster is focused on the top of the plants: the buds. When using Orange Top Booster, your plants will be served with high amounts of potassium, coupled with the perfect amount of trace elements to support the hardening of the cells. Orange Root Stimulator is the fastest working organic root stimulator in the market today. This product is composed of pharm-grade hydrolyzed amino acids. These acids are so called L-α-amino acids (which are “left-handed”). Orange nutrients consist of formulas that are developed to increase the return on investment when growing crops. Orange is divided into two specialized nutrient lines, both with unique properties and both tailored to meet the specific needs of the type of user. Depending on the level of experience that the grower has with the crop and the cultivation set-up, one of these nutrient lines will yield the best results. For most beginners, the Orange Complete line is perfect, because it minimizes mistakes made during the grow cycle. For the more advanced users, the Orange King line gives the grower flexibility to create their own feeding schemes.